If you are in tune to healthcare and medical news stories, you probably already know that overdosing or chronically using too much of the popular non-aspirin product called acetaminophen may cause serious and possibly even fatal liver damage. In 2008-2009 the American Association of Poison Control Centers reported a total of 57, 163 cases of acetaminophen poisoning exposures in children less than 6 years of age in the United States from single ingredient and multiple ingredient products (eg. multi symptom cold-flu formulations). 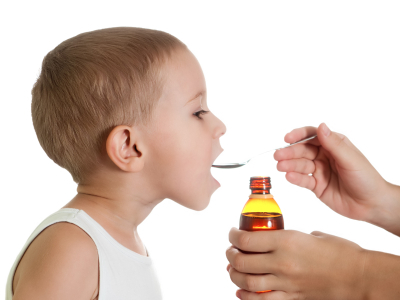 Recently, the FDA has begun to take steps to reduce the incidence of acetaminophen poisoning in children. The IPC published an article in the American Journal of Therapeutics about an infant who suffered liver damage all arising from a dosage miscalculation by the parents. In this case report, a 7 month old, 17 pound boy was supposed to be given 3.3 mls of children’s acetaminophen liquid (160mg/5ml) but was instead given 3.3mls of the infant acetaminophen drops (80mg/0.8ml which is 500mg/5ml). This larger dose was given to the infant 5 times over a period of 24 hours. The patient was referred to an emergency room, admitted to a pediatric unit, and treated for approximately 1 ½ days with intravenous n-acetylcysteine (a specific antidote for acetaminophen toxicity). This infant did experience significant liver damage as noted by abnormal liver function tests, however, fully recovered. A standard system of using ml measurements only is being recommended. For many years, acetaminophen has been the most common drug involved in intentional and unintentional poisonings and therapeutic errors reported to U.S. Poison Centers. As with all medications, we urge parents and caregivers to take special care in reading all labeled directions, measuring liquid volumes precisely, using a dosing device and storing these products in a secure, locked cabinet out of sight and reach of small children. If you have any questions or concerns about dosage or frequency of giving acetaminophen to a child please call your pediatrician, pediatric nurse or pharmacist for clarification. If an error or overdose has occurred, the medical experts at the Illinois Poison Center are available 24/7 to assist you: 1-800-222-1222.